It is true that Robert has tried a variety of medications throughout his life. Some have helped and some have caused horrific side effects (from behavior problems and depression when he was a teenager to causing balance problems and falls). Before I took over Robert’s care, Robert was willing to try any medication offered by the doctors. He even participated in clinical research which studied medications not yet approved by the FDA. By the time I took over his care which was almost five years ago (can you believe it’s been that long? ), Robert was on a strict regimen of medications and had been for quite some time. His doctor and I were concerned he was not remembering to take his medications when he was supposed to which was one part of why I felt he could no longer live on his own. A few years ago, his new neurologist suggested trying a new medication. Unfortunately, this was met with disastrous effects, including a trip to the hospital because of a bad fall and a scolding by my dad and Other Brother about how I should never change his medication. Oh good. I get to take care of Robert, make difficult decisions about his care and then be judged when those decisions don’t turn out as planned. Okay, I get it. Robert was immediately taken off of that new medication and I have rejected every suggestion of a new anti-seizure medication since then. However, occasionally, Robert’s doctors will have to add a new pill to his regimen that is not an anti-seizure medication (thyroid medication, for instance). Robert is on Depakote (500 mg/3 times a day) and this can cause his ammonia and valproic acid levels to increase which can make him tired and foggy headed. The neurologist added Levocarnitine to his litany of medications in order to keep these levels down. Robert also sees a Memory Specialist who would like him to start taking Lactulose in order to get the ammonia levels down even more. He suggested this a year ago and, once he explained the medication to me, I balked. Robert was living at New Home at the time and Lactulose basically flushes everything out of the system, including anti-seizure medication. The timing of giving the Lactulose is critical. I had zero faith that New Home could adequately manage this new medication. I felt Robert was at risk of great harm if I started him on it. I talked to the regular neurologist about my concerns and he agreed. Do not give Robert Lactulose. This past June, Robert saw the Memory Specialist again who was not very happy that we hadn’t started him on the Lactulose. I explained my reasoning and he seemed to understand that I didn’t just go rogue on him. However, since Robert was living with us, he thought we would be able to better manage the medication and said he should start taking it. I was still not happy about adding this medication. Selfishly, part of my reluctance was because of what it causes: smelly poop. After Robert’s April hospital stay, he became occasionally incontinent with his bowels. Call me crazy but I was not that excited about trying a new medication that would make more of a mess. Oh fine. I agreed to try it – Robert’s incontinence was worse after this latest hospital stay so how much worse could it get? We tried it out on a weekend because I wanted to see how fast it worked and how we could incorporate the new medication without impacting his day at his Day Program. I don’t want him to have embarrassing accidents. To my knowledge, the Lactulose has not impacted his Day Program activities or caused Robert any embarrassment. Robert had an appointment with his usual neurologist on Tuesday so I told him we had finally started the Lactulose. He proceeded to tell me Robert didn’t need it. After working myself up to start this new medication and finding the right time to do it (no one was in the hospital, it was on a weekend where we were home and Robert was feeling halfway decent), I am now told it isn’t necessary. I had to ask: What about the other neurologist? He told us to start using it. 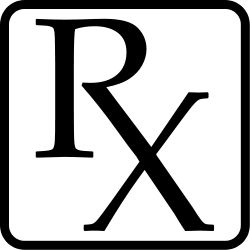 I have enough trouble adding new medications without the doctors disagreeing about it! This neurologist increased one of Robert’s regular medications (his Zonegran) and started talking about new medications Robert hasn’t been on before. Apparently, if the increase in the Zonegran doesn’t decrease Robert’s seizures (which are close to 30 every month), then he wants to try a new medication. Increase the Zonegran and stop the Lactulose. At this point, I kind of hate to stop the Lactulose because I’m curious if it actually brings down Robert’s ammonia levels and if that would affect any behavior (alertness, for instance). I already got myself worked up to use it, started using it and am managing its effects just fine. I don’t think I want to stop it just yet. My compromise is to continue with the Lactulose for a month and get the ammonia levels checked at that time. Then, I will stop the Lactulose but I will at least be able to tell Memory Specialist that we tried it and it worked (or didn’t). In the meantime, I will hope the increased Zonegran will decrease Robert’s seizures. I really don’t want to have to make another decision about new medications. It’s exhausting! As much as I hope for fewer seizures and no more medication changes, I know the reality is that there will always be decisions about medications to be made. It would just help out a little if the doctors could agree about these things! Have you had the experience of different doctors treating your caree and giving conflicting advice? How did you handle that? I Never Thought I Would . . .